The information contained on the HLPA network of sites is provided "as is" and without warranties of any kind, either expressed or implied. Neither HLPA, nor its employees, shall be liable for damages of any kind arising out of or in connection with the use of this site. HLPA makes no representations about the accuracy, reliability, completeness, or timeliness of information and/or material on the HLPA network of sites. The use of the HLPA network of sites and the material is at your own risk. Changes are periodically made to the HLPA network of sites and may be made at any time. The user acknowledges full responsible for the form, content and accuracy of any resume or material that they place on the HLPA network of sites. Employers also acknowledge full responsibility for their postings on the HLPA network of sites. HLPA will not be responsible for any employment decisions, for whatever reason made by any Employer on the HLPA network of sites. HLPA does not warrant that the information on it's web sites is error-free or that the web sites and its server are free of computer viruses or other harmful things. HLPA, it's advertisers, and/or any third parties mentioned on HLPA network of sites will not be liable for any damages whatsoever resulting from the use or inability to use the web site and the information listed on it. The HLPA network of sites are for profit commercial sites. The words "America's Best" or "HLPA" mentioned alone or as part of a phrase or domain name and published anywhere on the HLPA network of sites is a copyrighted marketing phrase of AmericasBest Enterprises, Inc.. HLPA evaluates each proposed listing for content and relevance. 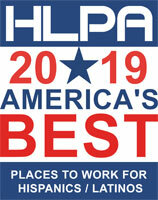 Once approved, any company appearing on any HLPA page with the words "America's Best" is a paid advertiser and HLPA does not further evaluate, endorse, or rate any participating company or individual. All listed rankings are solely based on registration dates and the amount spent on advertising. The HLPA network of sites contain links to third party web sites. These links are provided solely as a convenience to the user and not as an endorsement by HLPA of the contents on such third-party Web sites. HLPA is not responsible for the content of linked third-party sites and does not make any representations regarding the content or accuracy of materials on such third-party Web sites. If you decide to access linked third-party Web sites, you do so at your own risk. Any claims arising under this agreement shall lie exclusively with the state or federal courts within Orange County, California. No changes to these Terms and Conditions shall be made except by a revised posting on this page. All Web site design, text, graphics and the selection and arrangement thereof is the property of HLPA. The use of materials on the HLPA network of sites without the prior written permission of HLPA is strictly prohibited.